When you pre-book your Gatwick parking with HolidayExtras.com, you'll be able to save as much as 60% on the gate rate. Your space will be reserved and you'll be parking close to the airport, ready for a hassle-free start to your holiday. 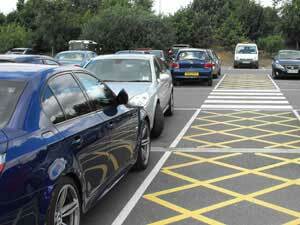 There are more options than you might realise if you only want to park for short periods. Enter your dates and times into the fields on the left of this page and we will show you availability and prices for the best services. There are two Short Stay car parks operated by Gatwick Airport, located at the North and South terminals, adjacent to the terminal building. You can park your car here and walk straight to arrivals or departures. We recommend you book your parking in advance rather than pay on the day - advance prices are much cheaper. Contrary to the name, you can also book the Official Airport Long Stay car parks for short periods. This is a great option, being easy to find and with only a short transfer bus ride between the car park and the terminal. There are separate car parks located at each terminal to be sure you arrive at the right one! Invariably the cheapest option for short stays at Gatwick, is provided by Airparks. They also run a park and ride service to both terminals from their facilities located just outside the airport perimeter. The transfers take a little longer than from the Long Stay car parks (between 5-10 minutes) but the price and quality of service is excellent. Why book Gatwick short stay parking? Gatwick short stay parking is perfect for that quick weekend getaway or week's break abroad. You can even stay for just a few hours to drop people off at the terminals. If you just need to stay for a short time and don't need a full 15-day package, Gatwick short stay parking is ideal. 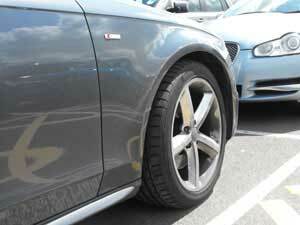 Security is a major feature of all our Gatwick short stay parking sites. Our car parks are Park Mark awarded and security measures include barriers, fencing, CCTV, floodlighting and 24-hour staff patrols. No matter which option you choose for your Gatwick short stay parking, you can travel safe in the knowledge that your car is securely stored. We can help you find Gatwick short stay parking at Airparks Gatwick, Gatwick Long Stay North and Gatwick Long Stay South. You can stay for just a few hours, to drop someone off at the terminal, or for a few days. No matter how long you stay, you'll get all the same security features and quality of service that you'd expect. Once you've chosen your Gatwick short stay parking, you'll be able to add optional extras using our upgrades system. Designed to cut the hassle out of flying from Gatwick, our upgrades help make your journey go more smoothly. You'll be able to include airport lounges, your holiday insurance and traffic news on your mobile phone, all with a click of the mouse. We'll also give you the chance to upgrade to a Meet and Greet service or include a hotel stay with your parking.